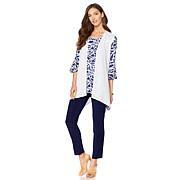 I bought this 2 pk Knit Tunics to go with some wide bottom dress pants for date nights with my husband. I love the sleeves and the fit for my body. 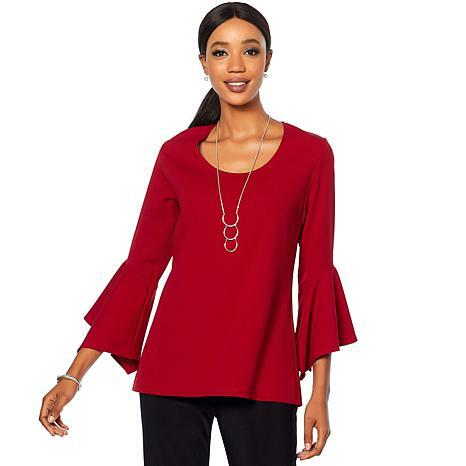 I am in my 60's and these tops are classy dressy tops that go well with my newly purchased slacks that are a bell bottom style, perfect pairing together. The tops wash nicely and hang to dry and keep their fit. Very happy with my purchase, thank you. I am very pleased with this purchase. They fit great. Not clingy. Perfect for me. Love the high quality structure and feel of this garment. 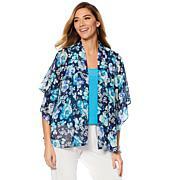 The weight of the fabric is perfect for cooler temperatures. The size large provided me with the perfect fit for a professional appearance at my work place/ office without being too tight. I ordered the black/white set. The white has spots from the black tunic. I'm not sure if it was humid during delivery, otherwise fit is true to size.